QuickBooks provides dozens of customizable report templates. You know when you need some of them, but which are musts? You send invoices because you sold products and/or services. Purchase orders go out when you’re running low on inventory, and there are always bills to pay, it seems like. All of this activity is, of course, important in itself, but all of your conscientious bookkeeping culminates in what’s probably the most critical element of QuickBooks: your reports. Reports can tell you how many navy blue sweatshirts you sold in March, what you paid for health insurance premiums in the first quarter, and how much you bought from your favorite vendor last month. They’re very good at drilling down to get the precise set of numbers you need. But reports – carefully customized and properly analyzed – can do more than tell you how many golf clubs to order and when it’s time to switch phone services. They can help you make the business decisions that will help you take your growing company to the next level. There are several that you should be looking at regularly, some of which you can interpret easily and use in your daily workflow. We’ll help you with the interpretation of the more complex financial reports. That’s probably a question you ask yourself every day. You don’t necessarily have to run the A/R Aging Detail report every day, but you’ll want to run it frequently. It tells you who owes you money and whether they’ve missed the due date (and by how many days). 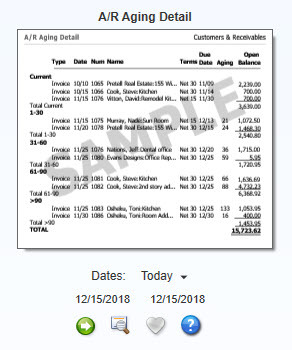 Figure 1: By running the A/R Aging Detail report, you can see whether you need to follow up with customers who have past due invoices. As with any report, you can modify it to include the columns, data set and date range you want by clicking the Customize button. When you create a report in a format that you think you might want to run again, click the Memorize button. Enter a name that you’ll remember, and assign it to a Memorized Report Group. There are two ways to find the reports you want to see. You can open the Reports menu and move your cursor down to the category you want, like Customers & Receivables, which will open a slide-out menu of options there. 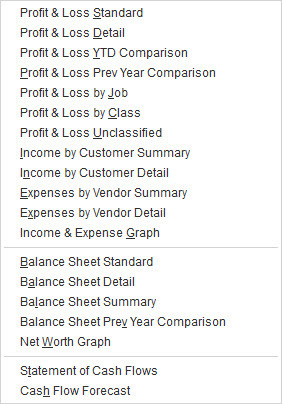 Figure 2: If you access QuickBooks reports through the Report Center, you’ll have several related options. Other accounts receivable reports that you should consult periodically include Open Invoicesand Average Days to Pay. Reports can also keep you up-to-date on money that you owe to other people and companies. An important one is Unpaid Bills Detail, accessible through the Vendors & Payables menu item. 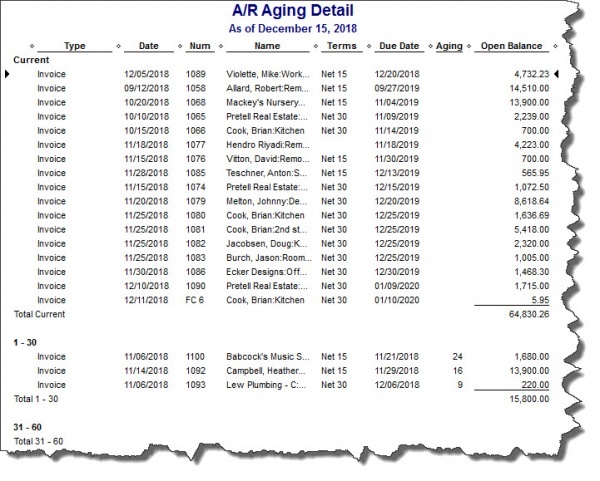 Though you can modify its columns, this report basically tells you who is expecting money from you, the date the bill was issued and its due date, any number assigned to it, the balance due, and relevant aging information. Vendor Balance Detail is critical, too. This report displays every transaction (invoices, payments, etc.) that contribute to the balance you have with each vendor. Figure 3: We hope you’ll let us help you by running and interpreting these standard financial reports. Balance Sheet. What is the value of your company? The balance sheet breaks out this information by account (under the umbrella of assets, liabilities and equity). Income Statement. Often referred to as Profit & Loss, this shows you how much money your business made or lost over a specific time period. Statement of Cash Flows. How much money came in and went out during a specified time range? Reports can only generate information about what you’ve entered in QuickBooks and exactlywhere it’s been entered. So it’s crucial that you follow standard accounting practice as you proceed through your daily workflow. We’re always available to answer questions you have about QuickBooks’ structure and your activity there. Your reports – and your critical business decisions – depend on it.